For Building Buffs – Architecture Tours L.A. If you want to see where Hollywood’s stars live, this isn’t the tour for you. But if you’re interested in the architecture and history of Hollywood, then Laura Massino’s Architecture Tours L.A. is the place to be. 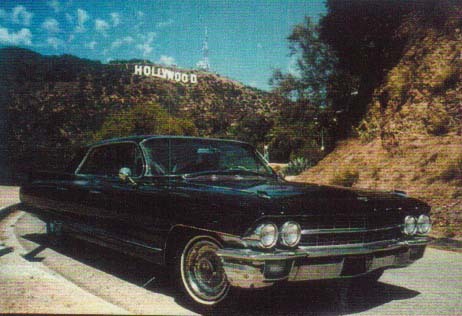 Forget the van and loudspeaker-Massino’s guests are shepherded around in a black ’62 Cadillac to L.A.’s most significant architectural sites. The Hollywood tour offers more than 60 sites, including homes by Frank Lloyd Wright and his son, historic theaters and French chateaux. Other tours go through Silverlake, Hancock Park, West Hollywood, Pasadena and Downtown L.A. These include the masterworks of Richard Neutra and Greene & Greene, as well as examples of Victorian, Art Deco and Craftsman styles. The ticket price is $60 per passenger and includes a guidebook and a map. For more information or reservations, call (323) 464-7868, or visit www.architecturetoursla.com.